The IT landscape constantly transforms, a hill of data here, a new road through instances there, and over it all: cloudy weather. To keep up with the changes, DBAs like Bob must continually track the changes and evolve with the landscape. Currently there are some megatrends underway that fundamentally affect how we develop and manage our IT systems. Most DBAs face challenges similar to Bob’s. They need solutions and tools to keep up with IT’s constant changes. We at dbWatch track these changes and develop tools to help DBAs. Here are some solutions for the challenges we most often see DBAs struggling with, solutions that we actively build to meet the constant changes, solutions to help people like you and Bob. Bob asked us, “Who came up with this word anyway?” *) Well Bob, it would be nice if Devops were as simple as combining two words. At Bob’s company, Devops is relatively new. They jumped on the Devops bandwagon recently, a year ago. Unfortunately, they are still working through some of the typical problems employees experience when their silos are whisked away and replaced by new diverse teams. While we may have a drone Millennium Falcon, we don’t claim that dbWatch can solve galactic communication problems. However, we can help developers and DBAs find a lingua franca. dbWatch gives the developers and DBAs a common a platform to see and test application behavior. This gives everyone insight and control into how the database engines are performing with advanced views. Developers have clear insights to application behavior throughout the development and test stages, while the DBAs can keep a constant eye on developments, ensuring nothing has taken a sudden turn in the wrong direction. "The role of the DBA in light of DevOps and Cloud Migration" describes this in more detail. *) By the way, Devops, (devops or DevOps) is attributed to Patrick Devois, who coined it as a hashtag in 2009. Devois spells it Devops, we’ll leave the fight over the capital letters to the code writers. With all the case-study horror stories about security breaches, IT operations managers obsess about security. This trickles down to Bob as a DBA, he is relieved that dbWatch can elevate several issues. Role based access controls and Active Directory (AD) integration makes it easy to grant and revoke limited access. 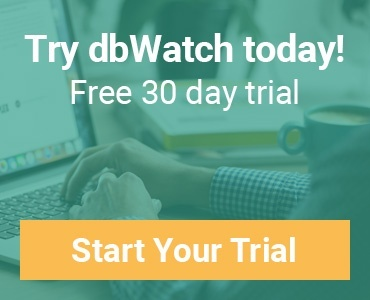 On a lower level, dbWatch’s ability to distribute monitoring servers behind firewalls and use secure encrypted connections makes for a more structured and secure database access while helping implement the company’s security policies. "Security considerations in database operations" is an article going into more details on this. We’ve recommend that Bob’s company have a trial of dbWatch. Our other clients have found that the user access controls saved them time and energy. “You’re able to define a role for the DBA by which accesses are allowed,” explained Marek Jablonski, CTO at dbWatch. “For example, a part-time DBA would only have access to a few functions, others might have limited roles or even simply read-only access.” In addition, the DBA can track what is happening within the system. “You can define access by time of day, calendar dates, activities, placement, almost anything,” Marek said. Bob looks forward to the insight and overview this will give him, allowing him to control the system and free up time to work on things that need his attention. Cloud strategy – or lack thereof – can make or break a company, having serious financial and business impact. On one side, the cloud offers agile scalability, allowing businesses to grow and meet peak demand quickly. On the other side, if everything is moved to the cloud without critical planning, it could have a significant economic impact. When something looks too good to be true, of course it isn’t true – a move to the cloud does not solve all your problems. With Bob’s research, he already knew that he would still be responsible for managing the migration, sizing resources to optimize cost and monitoring the performance. He knows that too little resources and the solution will not perform well. Studies have shown, 8 seconds wait time is about maximum of what customers will tolerate before leaving and that number is coming down. But, when too many resources are used to keep up fast performance, costs can run amok. "Extending database monitoring into the cloud" is not without problems as is discussed there. We know that on the cloud control will be even more critical than before. Bob might not need to worry about backups anymore, but he’ll need to monitor performance (and cost!) closer than ever. The cloud is on the meter, and that meter can run fast. Our solution for cloud-control: being able monitor all database resources in a single view, regardless of where they are located. 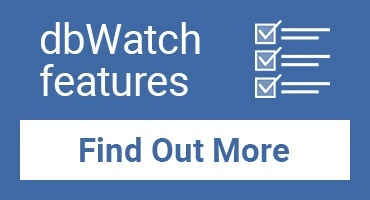 One dbWatch view shows all instances: on-premise, Azure and any other cloud. This gives all DBAs the insight and control needed to manage performance and make qualified decisions between what to run locally and what should migrate to the cloud. Having some databases thoughtfully selected for the cloud will free Bob up to have more time for other projects. However, all clouds are not created equal. There are somethings he needs to watch out for, especially when it comes to Azure. If you’re interested in the Azure performance issues, you can read this blog, or download the full Azure research paper here. While Bob is no stranger to 24/7 operations, it is new to have all aspects of the company working around the clock, with colleagues and customers working at all timezones. His current biggest challenges are: intensified monitoring needs and good automated distribution of alerts and warnings, depending on time of day and week. Last year he missed out on detecting an incident and just managed to catch it before a major disruption; naturally he wants to avoid this happening again. Here dbWatch offers Bob a practical fast solution. He understands from problems with his semi-automated monitoring that he needs a fully automated system. We can offer him one step further in solutions, distributing the information gathered in the system in a fast and efficient way to the correct person at the correct time via the best channel. Also, when Bob’s in office when an alert comes in, he can simply change to dbWatch management mode to fix the problem. Because Bob is the senior DBA in his company, he usually ends up on-call. He can configure dbWatch monitoring to catch the serious issues when he’s out of office and send the alert to the frontline monitoring, telling them to call him if a specific alert comes in. Growth in complexity and numbers does not automatically mean more DBAs. DBAs are expected to evolve and become more and more efficient all the time. Full-time DBAs today are expected to manage much more than a handful of servers/instances. Since Bob started working for his current employer five years ago, there has been between 10% to 25% growth each year. Earlier, Bob’s job was like managing a small taxi company, now he’s expected to coordinate a city-wide public transportation network. It goes without saying, Bob has to run the public transportation network using the same staff he had in the small taxi company. Scalability is becoming a real issue in many enterprises and is and issue we pay a lot of attention to. We discuss this further in "Why scalable database monitoring is a must for growing businesses" and "Understanding database scalability - a 101 guide". In the time it’s taken you to read this article, likely something in the IT landscape has shifted ever so slightly already. Constant change is the new norm. This story has examined the areas which we see most affecting our clients and our own DBAs. We focus on these areas, helping to deliver better solutions and tools. By the way, we could reassure Bob that his job isn’t in danger. First, Bob has something that will ensure his continued employability: the ability to embrace change. 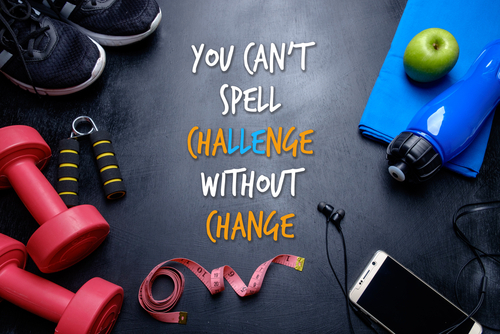 DBAs who can change with IT, seeing it as a challenge rather than a barrier, are resilient and likely to remain employed. In addition, Bob works on complex DBA jobs, so his job is unlikely to be threatened by the latest level of developments. Who is this Bob person? Bob is a mix of several of the clients we work with, including some of the DBAs on our team. While he is a fictional character, we and our clients have all experienced similar problems. This blog post was contributed by Rebecca Harrison. Rebecca Harrisson writes and helps people communicate clearly by day and is a folk harpist and storyteller by night. She writes for IT companies and harp magazines. You’ll find her on LinkedIn.